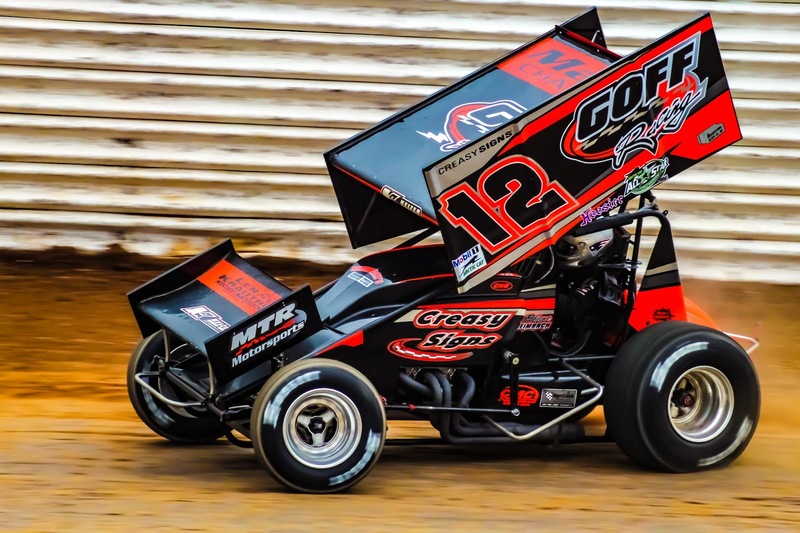 PORT ROYAL, Pa: Blane Heimbach is a veteran behind the wheel of a Sprint Car. When asked about next weekend's Keith Kauffman Tribute Race hosted by the All Star Circuit of Champions, Heimbach remarked how it made him feel old as he remembered fondly trading sliders and competing with the all time leading feature winner at the Port Royal Speedway. If Saturday night's results are of indication of what's to come, Heimbach still has plenty left in the tank. "I don’t know if it looked any worse then it felt out there, but I just couldn’t do anything with those lap cars out there late," said Heimbach, a Selinsgrove native. "I just tried to not do anything stupid and make nice straight laps. I'm just happy we got it done and are sitting here in victory lane." Wolfe would open up a sizeable lead over the next 6 laps before hitting lap traffic on lap 6. That was the break Heimbach needed as he was able to close the distance heading into lap 8 before using the bottom in turn's 3 and 4 to regain the lead coming to the flag stand. "You really have to get going in these races early and Lucas was able to run all over the place there to start," said Heimbach. "I couldn’t get going there in the beginning, but once I figured out where I could run well on the track I was able to shorten it up a bit and get around him there on the bottom." Fifth place starting Macri moved past A.J Flick for 3rd on lap 9 and began to put the heat on Wolfe while Heimbach began to stretch his lead. Over the next 9 laps, Heimbach would comfortably lead, though as he attempted to pass the lap cars of last week's winner Ryan Taylor and rookie Tyler Reeser, Wolfe would close within a car length with 3 to go. "I was good for maybe a dozen or 15 laps out there and the car just really started freeing up and I wasn't really going anywhere," said Heimbach. "They were racing pretty hard there in front of me and I couldn’t get around them. I didn’t want to wreck us all to get there so I just held on and tried to not make any mistakes." "I knew that the end would be trouble like that. The track was really good, but it kept getting damp there towards the end," said Heimbach. "We have been no good all year and last year when the track gets slick." "We've got a lot of work to do still. But obviously this is a step in the right direction. It’s one night and one race, but we're getting better and we'll keep at it to see if we can’t win a few more of these things this year." "We were really good there at the original start but we really struggled there once we hit traffic," said Wolfe. "It's always disappointing when you have the lead and give it up, but hats off to those guys for taking advantage of things and we'll just keep working to get better." "It's amazing to get my first win in front of all these fans and I couldn't be happier," said Ferree, from Saxonburg, Pa. "They call this place 'The Speed Palace' for a reason and man was it great out there!" "Every time I went high, they went high. Every ime I went low, they went low. I just couldn't pick the right line to pass those lap cars and I really was struggling," said Ferree. As Ferree attempted to pass the lap cars over the next several laps, Haus would pass Myers for 2nd on lap 18 and set his sights on the leader. By lap 22, Haus was on Ferree's bumper. "Andy could've given me a little more nose if he wanted to there, but he raced me pretty clean and I'm just grateful to hold on," said Ferree of the drag race to the checkered flag. For Haus, he said the lapped cars really allowed him to have a chance, otherwise without any cautions it was Ferree's race to lose. "The lap cars really held him up and they played into my hands there at the end to give us a shot," said Haus, from Easton, Pa. "I wasn't able to quite slide him there, but we gave it everything we had and I'm just glad to come home with a 2nd tonight." It was Duke's second consecutive victory in the series, as he previously was victorious at Path Valley Speedway before picking up the $350 purse for winning at 'The Speed Palace'.